Over 500 years ago Leonardo da Vinci conceptualized the CVT transmission. Of course, he had no idea at the time that his version would develop into an integral part of vehicles today. Your transmission is the link between the engine and the wheels. It is what takes the power coming from the engine and turns it into a mechanical function to move the wheels. So without this vital component, you could have the most powerful car with the most horsepower in the world, and you'd never even move an inch. It's vitally important you practice regular CVT transmission service. This will keep your car running in tip-top shape. Not sure what that means? Keep reading for a complete guide for caring for your CVT transmission. Continuously Variable Transmission will seemly switch through gear ratios while you drive. In fact, they don't switch gears like a traditional transmission. These transmissions do not have gears. Instead, they use a belt and pulley system. The pulleys will get wider and skinnier depending on the level of power produced and sent to the wheels. This system results in a much smoother ride. It also means your engine will operate at the most efficient level possible all of the time. Being in the performance sweet spot means you get the best performance and fuel mileage out of your vehicle. Most modern car manufacturers use a CVT in their vehicles today. 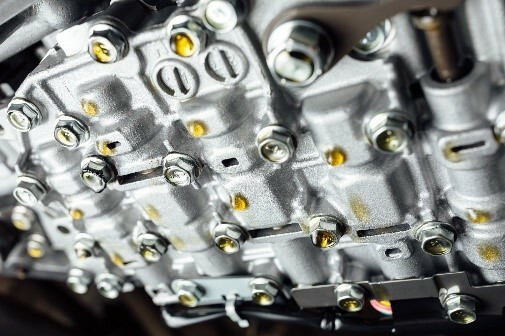 However, Lexus, Chrysler, Honda, Nissan, Toyota, Subaru, Mini Cooper, and Mitsubishi are the most prevalent users of this type of transmission. There are a few problems that commonly occur and they are mainly caused by poor maintenance practices. So the best way to avoid these problems is to schedule regular CVT Transmission service. If you ignore the recommended service and your transmission starts to have problems, you risk having to replace the whole transmission. This will cost you thousands of dollars. If your transmission fluid is dirty or low then it cannot lubricate properly. It also means you have used your fluid longer than the intended life of the fluid. If you go to a service provider who isn't well versed in CVT transmissions, they could easily put the wrong fluid in your system. This will damage your transmission. If your fluid is old it cannot cool your transmission properly. Another problem is if your coolers are clogged. Then the fluid can't flow properly to be able to cool your transmission. When you don't keep your fluid clean and fresh, it can't lubricate properly. When your transmission components aren't lubricated, they will wear on each other. That wear will cause problems in your transmission as these parts are not designed for this kind of abuse. Your CVT transmission depends on belts, pulleys, and bearings to work. So if any of these get damaged, then your transmission can't function. Most of the problems we just discussed you can't readily see when driving your car. So here are a few signs to look for that don't require you to be a mechanic and get under your car. You drive home from work, park your car in the garage and go into the house for the night. The next morning you're on your way to work and you back the car out of the garage leaving behind a reddish looking puddle on the garage floor. That red liquid is your transmission fluid. For most cars, it will be where the middle or front of your car was located. Unlike your engine oil, your transmission oil shouldn't burn off. So if this is happening, you have an overheating issue. CVT transmissions are designed to run at optimal performance levels all of the time. So if you notice that your car has a delayed reaction time, or is struggling to perform, your belts may be slipping. This can happen when the components become worn away. These parts are not meant to wear away, so when they do, extra space is introduced to the system. This space causes the pulleys and belt to slip from lack of proper tension. You can probably tell by now, the most important maintenance for your CVT transmission is the upkeep on the fluids. The time interval that you can drive between fluid changes will depend on your vehicle. For example, Nissan will recommend that you change the fluid every 25,000 miles. Most manufacturers fall into a range between 30,000 and 50,000 miles. Many car owners find that their manual doesn't specify a time. If this is the case, a good rule of thumb is around 50,000 miles. To check the whole system you will need a mechanic to lift the vehicle and get underneath it. But you can perform a quick fluid check yourself. Look under your hood for a transmission fluid dipstick. It will look very similar to your engine oil dipstick but will have a different color for the pull loop. There are many car owners who prefer to do the work themselves. But we warn you, this is not a project to tackle at home. Changing the fluid for your transmission requires more skill, knowledge, and dexterity than engine oil. Plus car manufacturers design the system to be tightly sealed. Then a service computer is required to read the parameters and provide data insight. If your vehicle has a CVT transmission then you'll want to follow a regular maintenance schedule so you can continue to enjoy that smooth ride. Your local transmission service or dealer can tell you when you should have regular CVT transmission service if you are unsure. But you should always keep an eye out for any signs of a possible problem. Use our online form to schedule an appointment that is convenient for your vehicle maintenance.